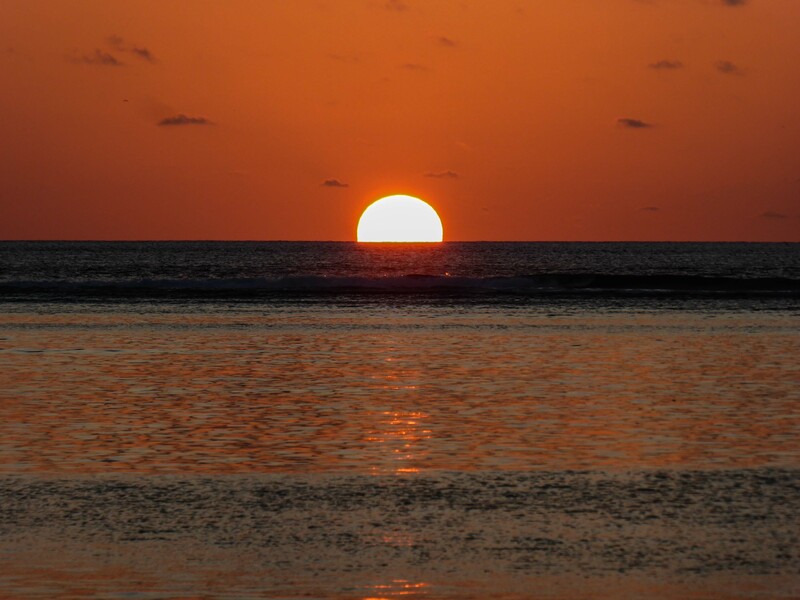 The Alphonse Island 2016 – 2017 season has officially begun, with perfect timing as the South-Easterly winds subsiding to a light breeze almost as to welcome us home. 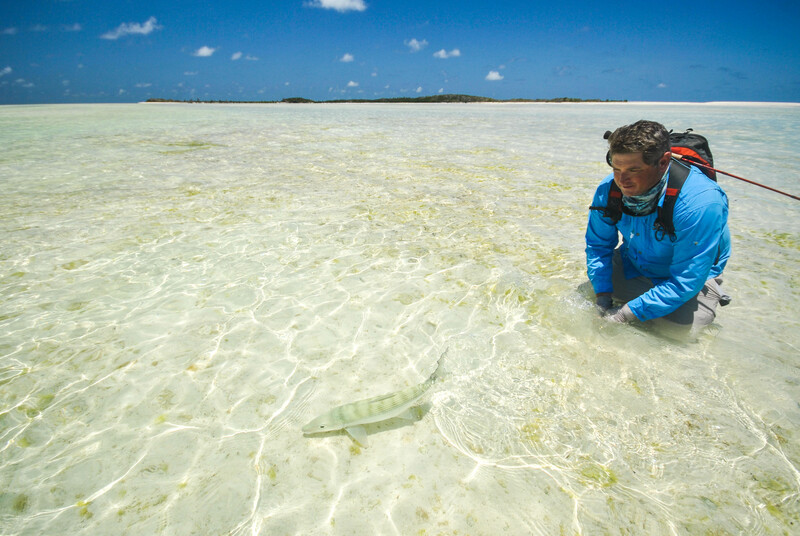 With the guide team “chomping at the bit”, our eight lucky anglers were set for an incredible weeks fishing. 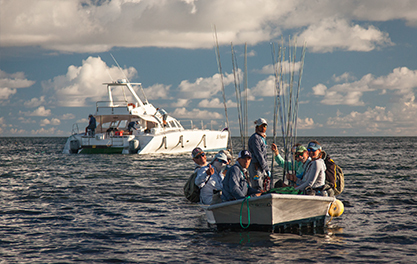 The season started on the first day with a few “close but no cigar” incidents where Permit where hooked and lost. 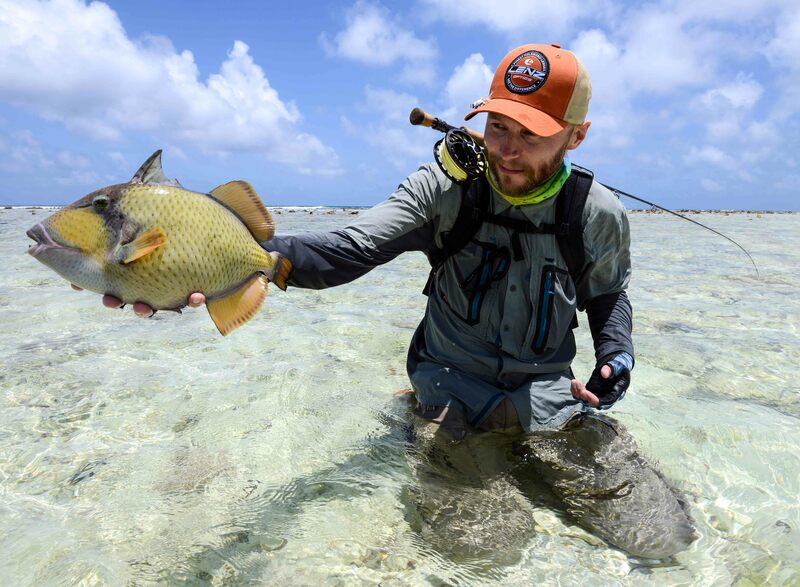 True to form the week did start on a great note with Murray Collins landing the first permit of the season and David Bates landing the first GT of the season all on the very first day. 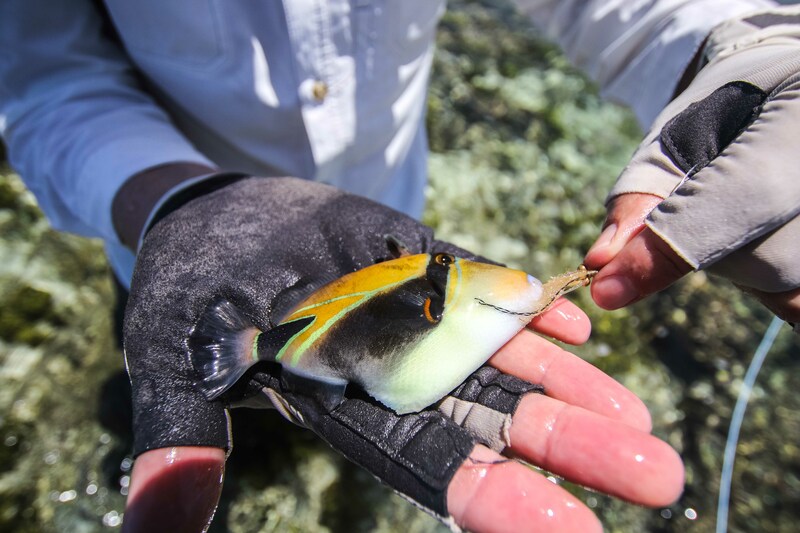 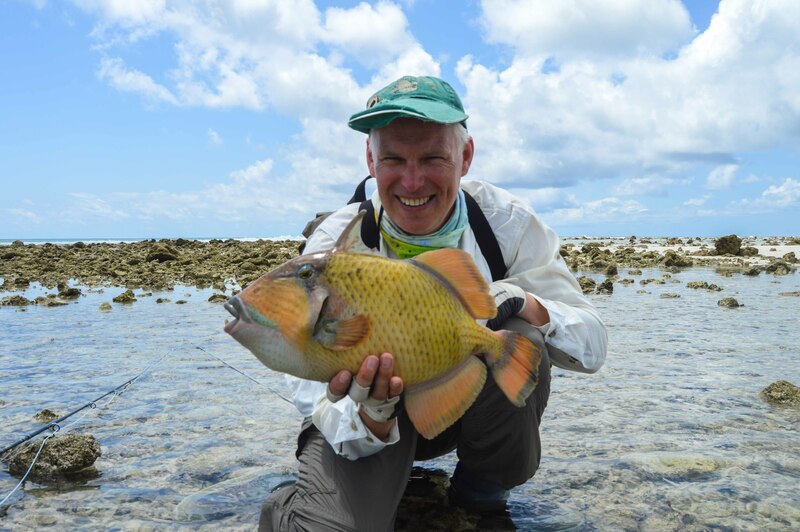 The triggerfish are around in good numbers and eager to pounce on a green barred Alflexo amongst other patterns. 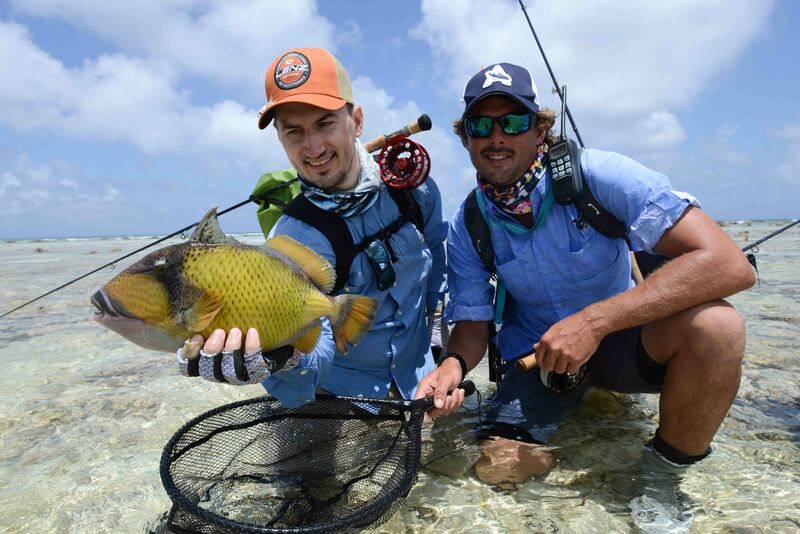 Martin Olsen and Rasmus Oversen from Fin Chasers Magazine had a day to remember when they landed three moustache triggers in a session and lost more they would like to forget. 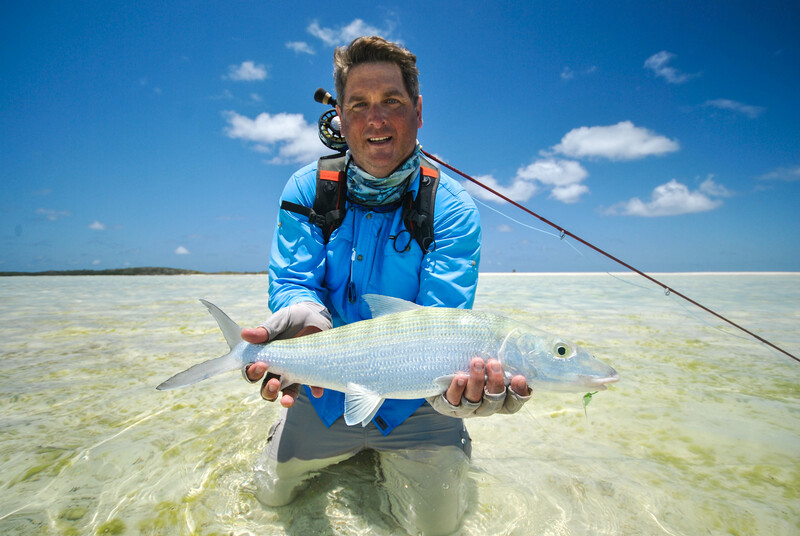 Martin went one step further to land a GT, trigger and a bonefish in the same day to be the only angler of the week to accomplish a “Flats Slam”. 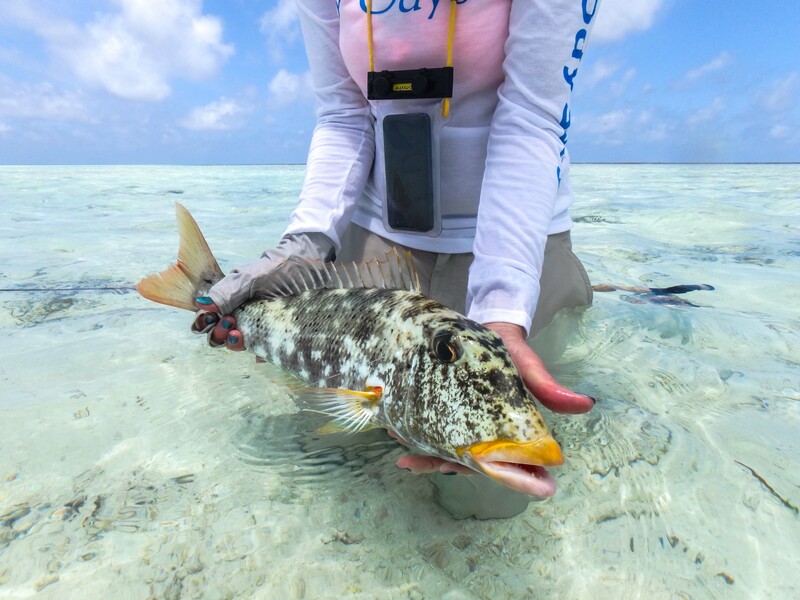 The trigger hunter of the week was Rory Nicoll as he ended up with all three species, a moustache, yellow margin and the smallest but prettiest of them all, the Picasso triggerfish. 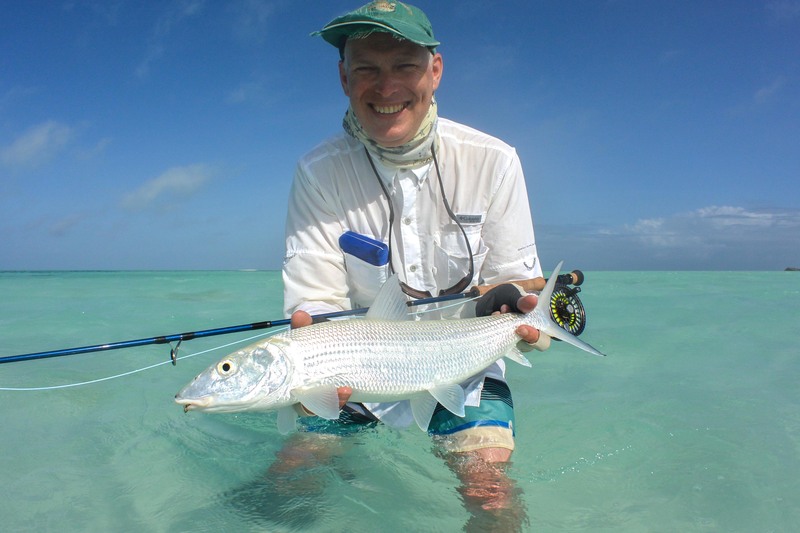 Mark Walton didn’t only land the biggest bonefish of the week but was quick off the mark to receive the first 20+ bonefish in a day badge. 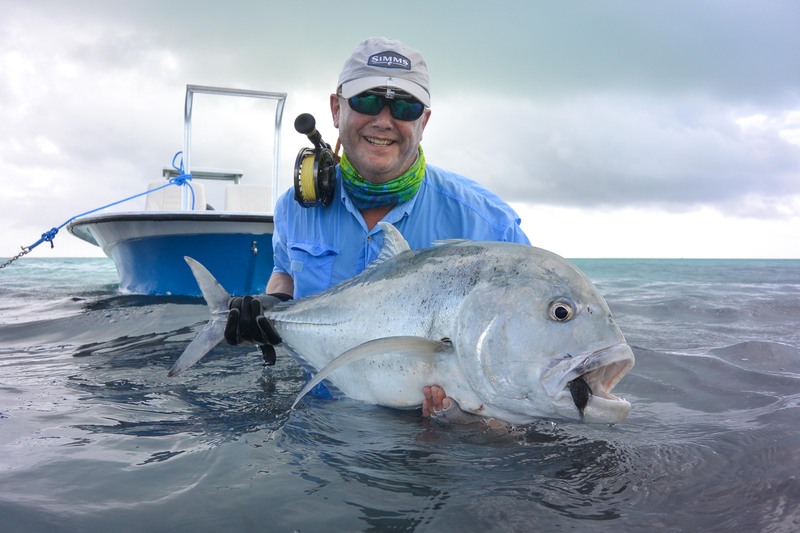 Stories of 80lbs plus GT’s sightings and being cast at was a common discussion at the evenings bell ringing sessions, where a toast is drunk to celebrate remarkable catches as well as unfortunate incidents. 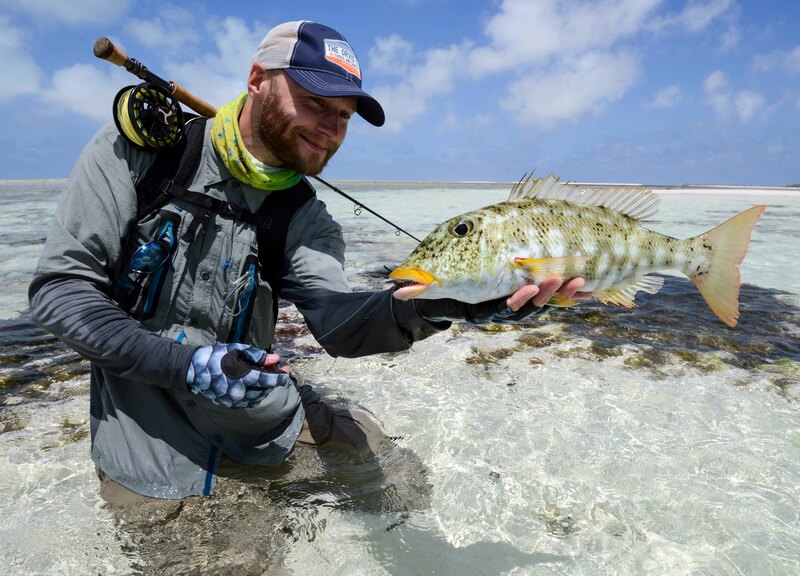 One such occasion saluted was when Ty Pollock managed to hook-up on a good-sized GT on the flats, which screamed into the lagoon, and cut him off on some coral. 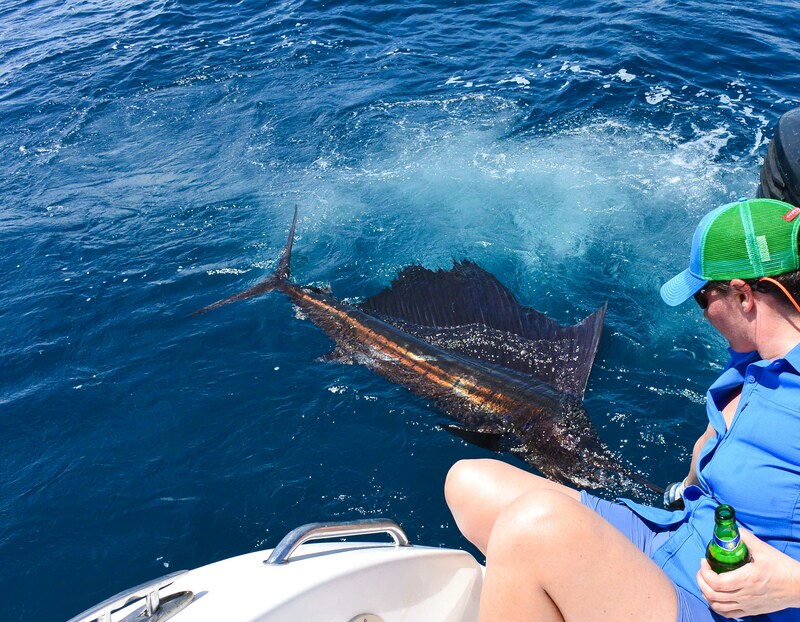 Ty’s luck was soon to change when he and Susie decided that their next goal was to catch a sailfish on fly. 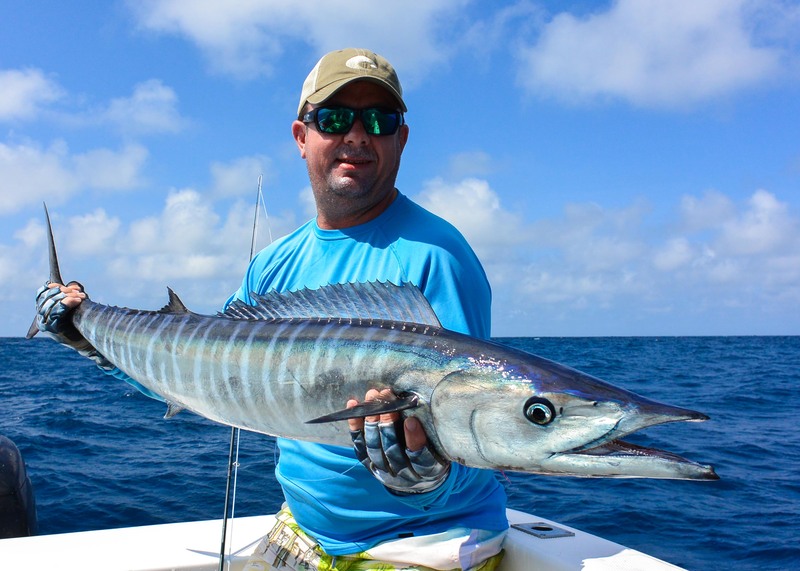 Flat calm seas made the teasers swim in way that was tantalising to a multitude of gamefish species as not only did they arrive on shore celebrating a sailfish each but also a wahoo. 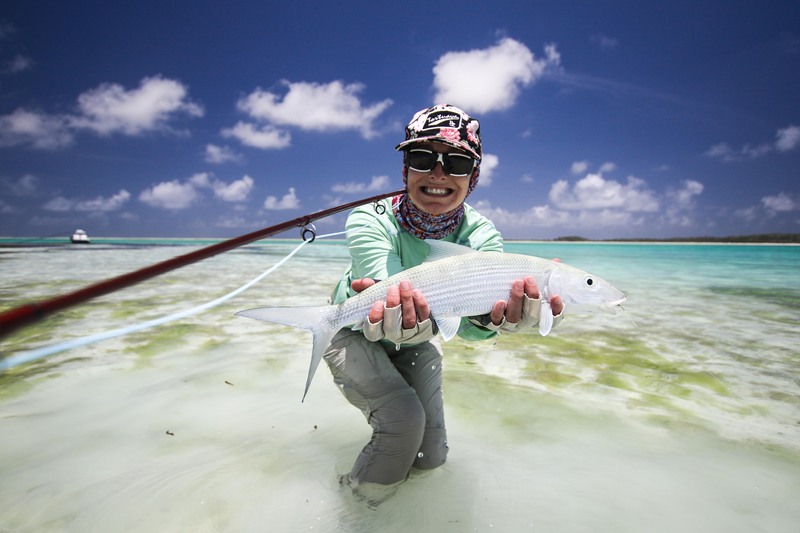 Susie went further to land herself a beautiful GT. 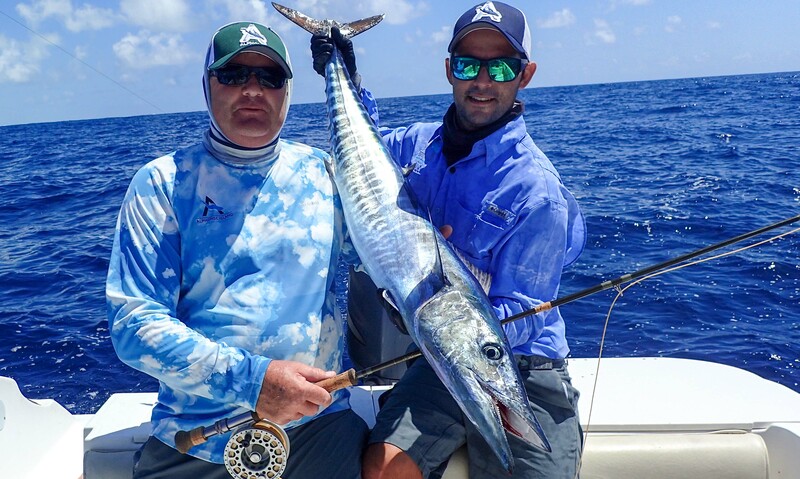 The bluewater was on fire all week so Conrad Cooper and Barry Bruton paired up went out to catch their first fly caught sailfish and wahoo. 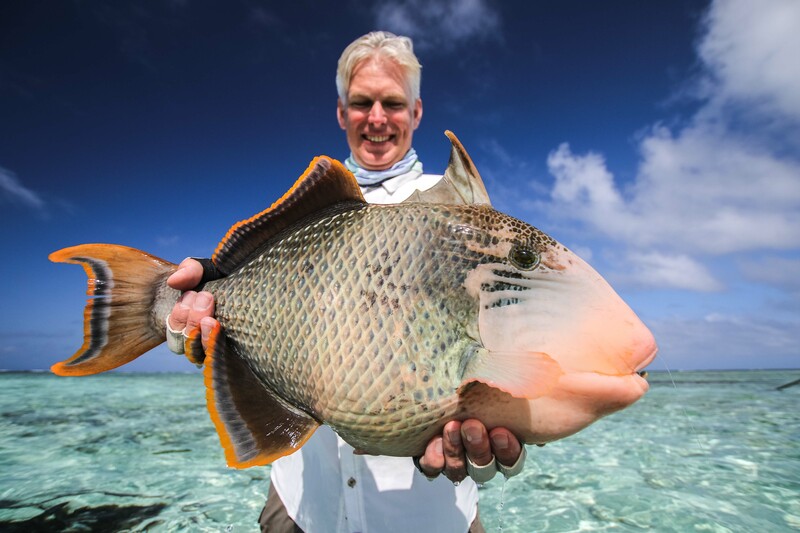 The rarest catch of the day was an Emerald Parrot fish, which Murray Collins caught while fishing Alphonse Island. 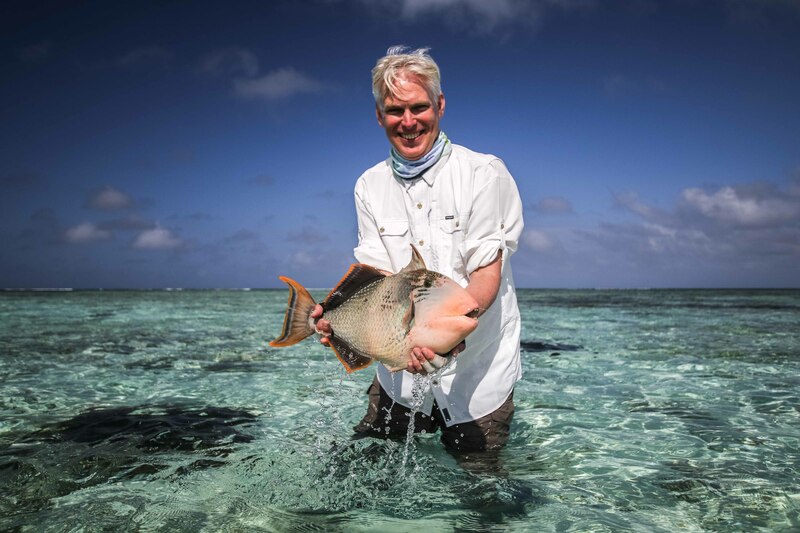 A great start to the season with amazing catches and many of the groups sharing the experiences with their families who enjoyed the comforts of the hotel, dive center, spa and the multitude of other experiences that make Alphonse so unique.